The BCI at 163.4 gained 1.0 on last week’s downwards revised 162.4 value. These downward revisions are attributable to the late reports for New Home Sales and New Houses For Sales for September and October both released yesterday (delayed due to government shutdown). 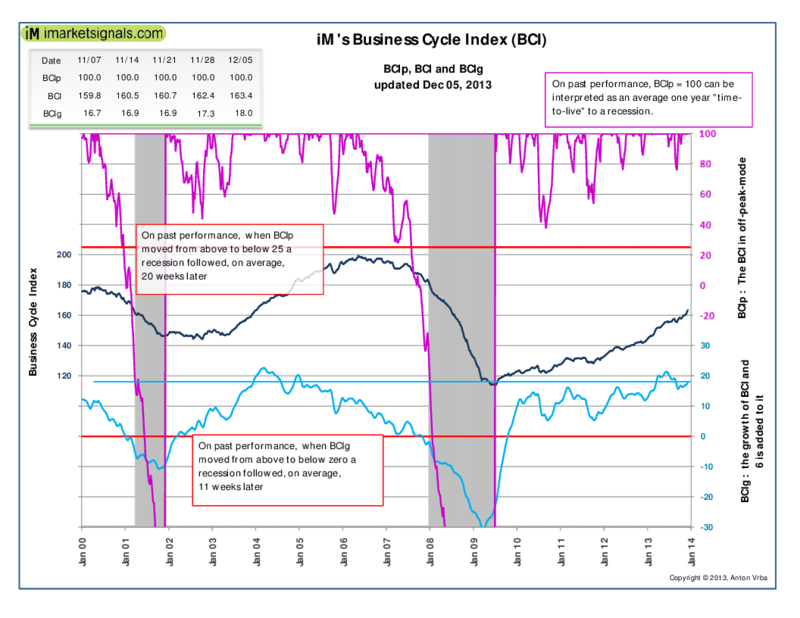 However, both BCIg and BCI signal a continued growth of the economy with no recession imminent.